A live drinks and draw event on Thursday. Each month, ten artists are selected to come enjoy happy hour and draw, then sell their creations on the “art wall” available on the cheap. The Roxie’s festival of French Noir was a tremendous hit and to give audiences a chance to see the shows they missed, the program will return this week. Click here for the full shedule. This Thursday is the Academy’s annual food and drink night featuring salivating talks and food demos, wine tasting, nutrition tips and food samples plus beer, botany and food microbes. Friday night at Oakland’s fabulous art deco Paramount brings a classic western, a cartoon, newsreel, previews and prizes all for $5! James Stewart, John Wayne and Lee Marvin are teamed together for the first time by Academy Award winning director John Ford in a tale of ethical quandaries, with the film’s biggest quandary answered in a lie! 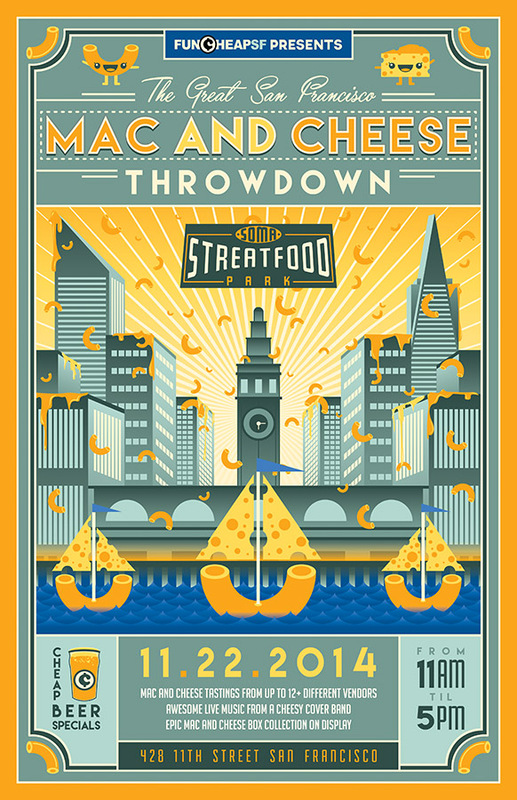 Come experience the biggest Mac and Cheese Festival in SF, with 10+ of the best food trucks and pop-up vendors serving up delicious Mac and Cheese specials all day long. Ratchet up the Cheese factor with music from a Cheesy cover band, cheap beer specials, games, and much more! Saturday in SoMa. Continuing their Fall season, the San Francisco Film Society presents several distinct elements including the first-ever animated feature, an Italian production entirely in Arabic and a suspense-oriented film in the giallo tradition, among other impressive first or second features with many filmmakers in attendance. Taste a 2010 Blanc de Noir, 2011 Chardonnay, 2010 Pinot Noir and 2011 Cabernet Sauvignon at the Steven Kent Portfolio Reserve Room on Saturday or Sunday afternoon in Livermore. 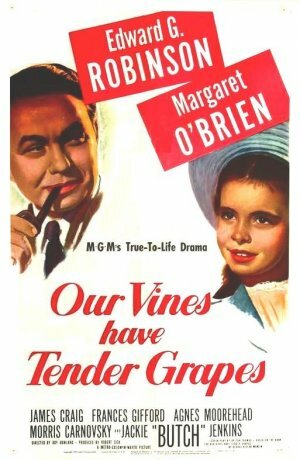 This weekend starts a month-plus series of great Hollywood Holiday Movies with Meet Me In St. Louis and Our Vines Have Tender Grapes . Always the best archival 35mm prints. 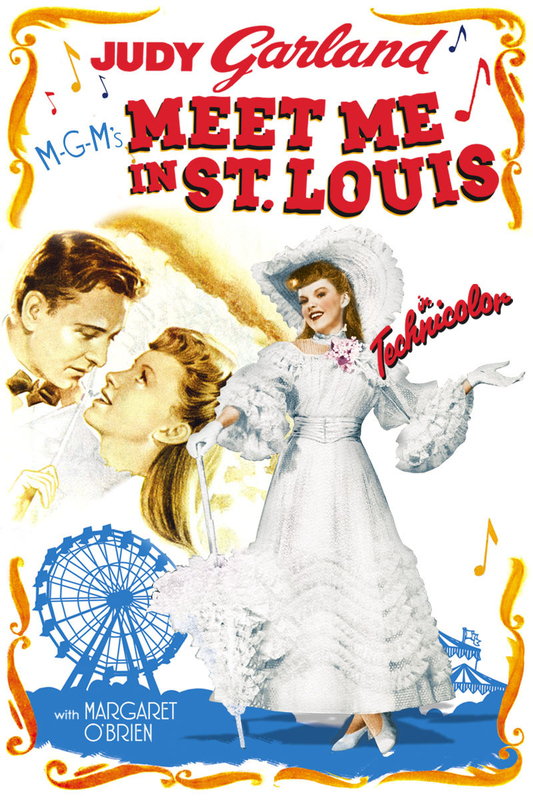 In the first film Judy Garland, Margaret O’Brien, Leon Ames and Mary Astor are a family living in St. Louis during the 1904 World’s Fair. Based on Sally Benson stories in The New Yorker, it was directed by Vincente Minnelli who met Garland on the set and later married her. She sings “The Boy Next Door,” “The Trolley Song” and “Have Yourself a Merry Little Christmas” that went on to become hit pop standards. Our Vines Have Tender Grapes follows a Wisconsin farming family — the struggles and rewards of rural life. Martinius Jacobson (Edward G. Robinson) is a humble Norwegian farmer, working his small farm with only the help of his wife, Bruna (Agnes Moorehead), and his young daughter, Selma (Margaret O’Brien—she’d back!). Selma and her cousin, Arnold (Jackie “Butch” Jenkins), witness many dramatic episodes over the course of a year, including a neighbor’s barn fire, a raging flood and a memorable Christmas scene. Oakland’s Homestead Restaurant (in a 1920s Julia Morgan building) will be hosting a Crab Feed on Wednesday, November 26 from 3:00 to 9:00 p.m. The menu will include grilled Dungeness crab in the shell, green salad, roasted potatoes, Brussels sprouts and house baked sourdough bread, all with lots of drawn butter, lemon, and sauces, plus a pomegranate sorbet with gingersnaps for dessert. Though Ai Weiwei’s new art project, @LARGE, is on Alcatraz, he would be the first to admit no man is an island. A Pacific Film Archive series in solidarity, I’m Weiwei addresses many of the issues that confront this great Chinese artist—basic human rights, free expression, incarceration, abuses of state power—but it does so by examining how an individual’s personal principles connect to a greater cultural good. A half-dozen innovative documentaries offer portraits of men and women who have found themselves actively engaged, whether in response to unexpected circumstance or as a result of a calculated allegiance to a cause. An annual event that features world‐class Napa Valley wines alongside the Napa Valley’s master chefs and graduates of The Culinary Institute of America’s culinary education programs. Net proceeds from the event support programs and scholarships at The Culinary Institute of America’s Greystone Campus in St. Helena. All weekend. Opens November 21 for a week at the Roxie with filmmaker in person at Friday, Saturday, Sunday evening shows, Saturday and Sunday at The New Parkway (3pm- in person) and the Smith Rafael (Monday at 7pm, filmmaker in person). 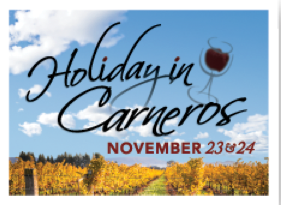 Join the wineries of Carneros, at the southern end of the Sonoma and Napa Valleys, for this exciting multi-winery open house event. Taste wines, including new releases and exciting bottles pulled from our cellars, and fill your cellar with your favorites, some at special pricing! 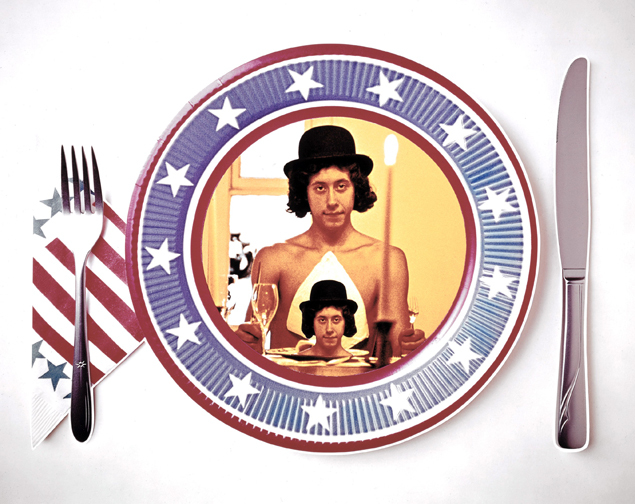 “You can get anything you want at Alice’s Restaurant .” Arlo Guthrie’s shaggy dog tale/song became a classic movie directed by Arthur Penn. The folks at the Balboa Theatre offer a free showing on Thursday at 7:30 as their thanks to San Francisco for supporting independent cinemas. This entry was posted in Drink, Eat, Films and tagged classic films, Drink, Eat, film festival, film noir, film series, Films, Hollywood, wine. Bookmark the permalink.